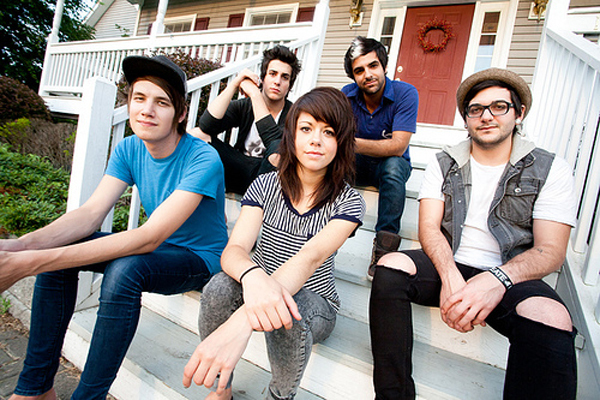 Poughkeepsie, NY pop rockers We Are the In Crowd have been fairly quiet on the new music front since their 2011 debut, Best Intentions, but they’re planning to start 2014 off with a bang. Their sophomore album, Weird Kids, is set to be released on February 18 of next year through Hopeless Records. Check out the album artwork and tracklist after the break. If you’re looking for an early taste of Weird Kids, you can stream the energetic new single, “The Best Thing (That Never Happened)” after the break. Another single, “Attention,” was released earlier this year, and you can pick that up on iTunes.